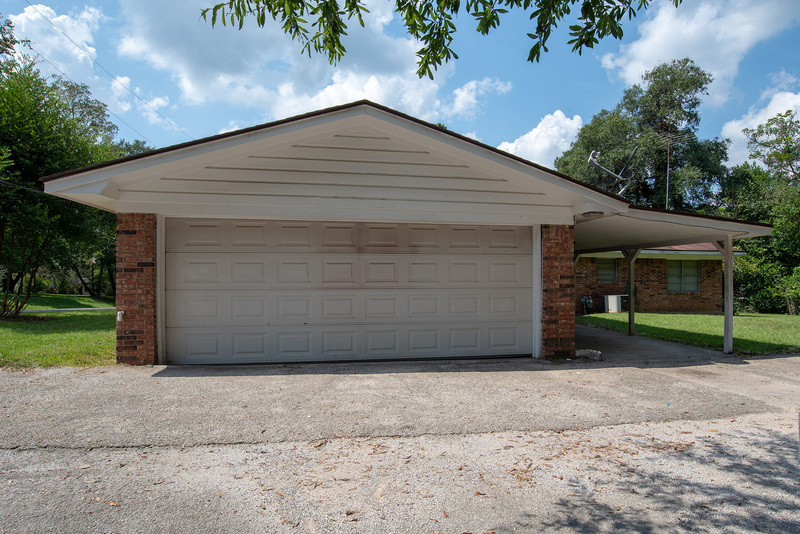 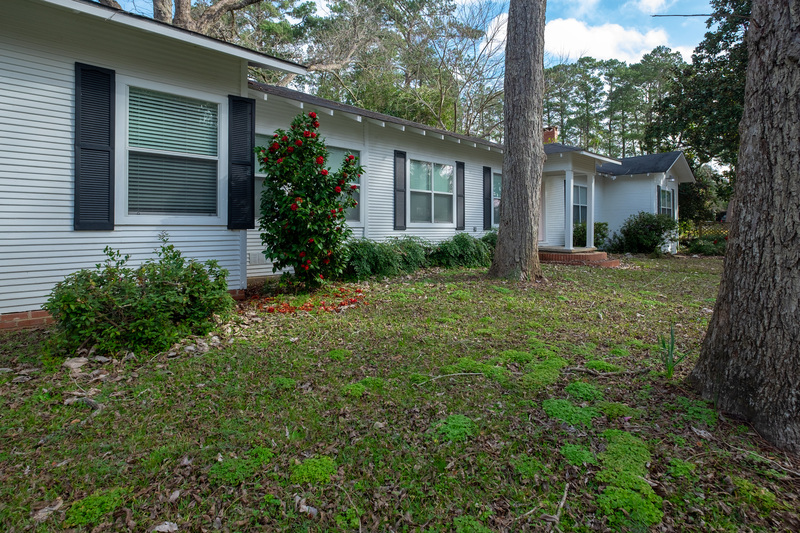 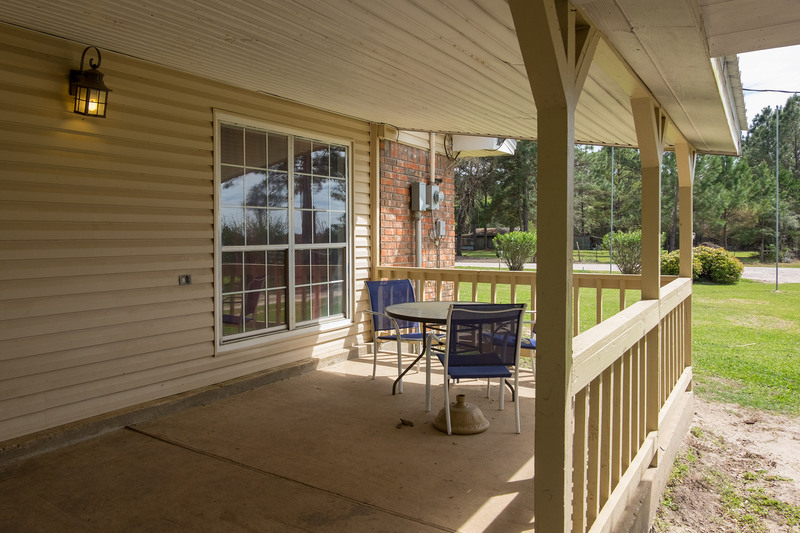 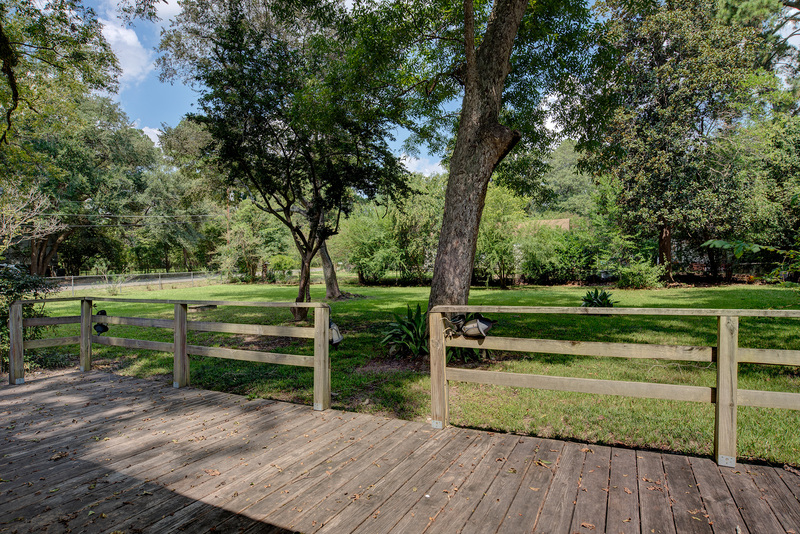 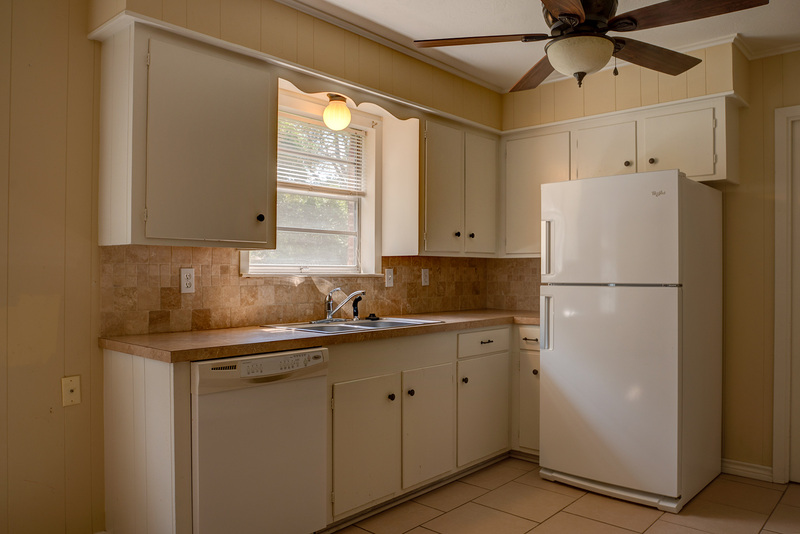 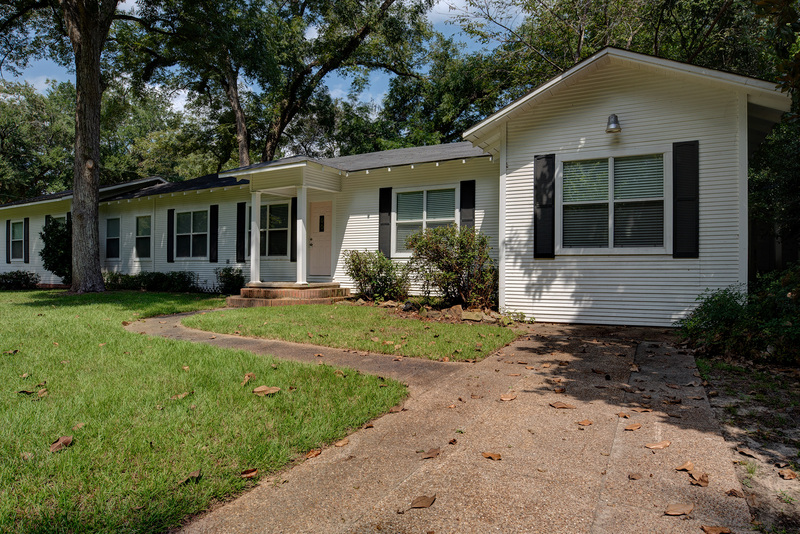 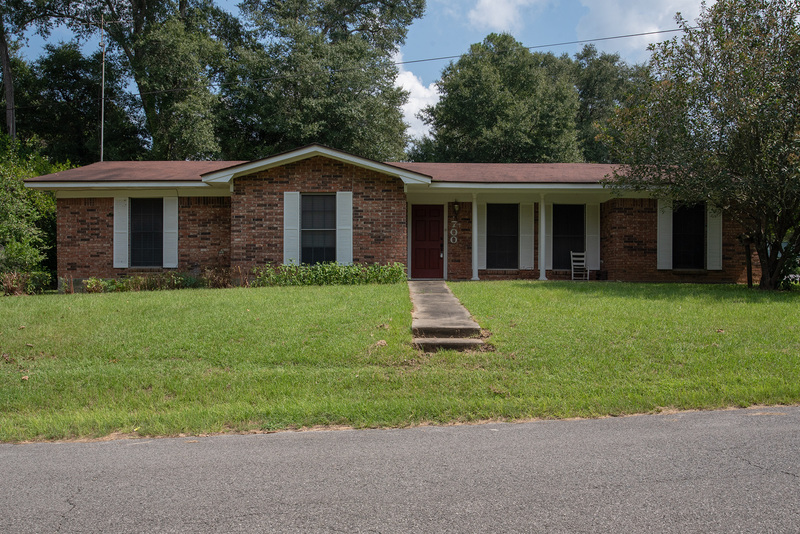 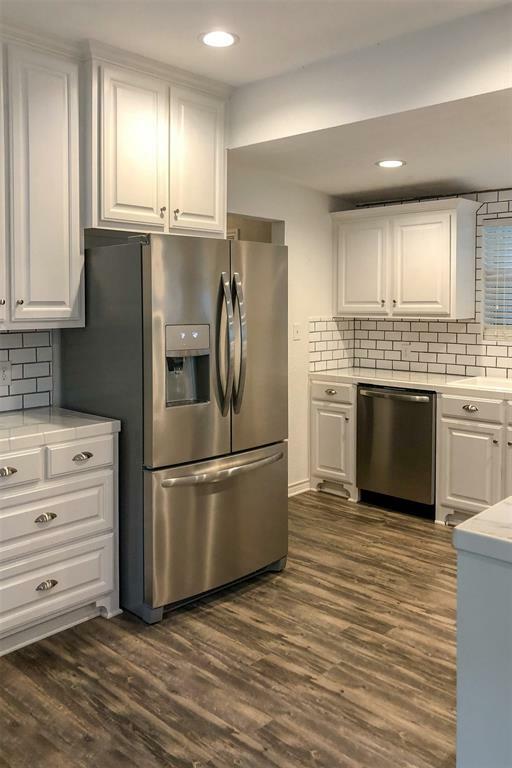 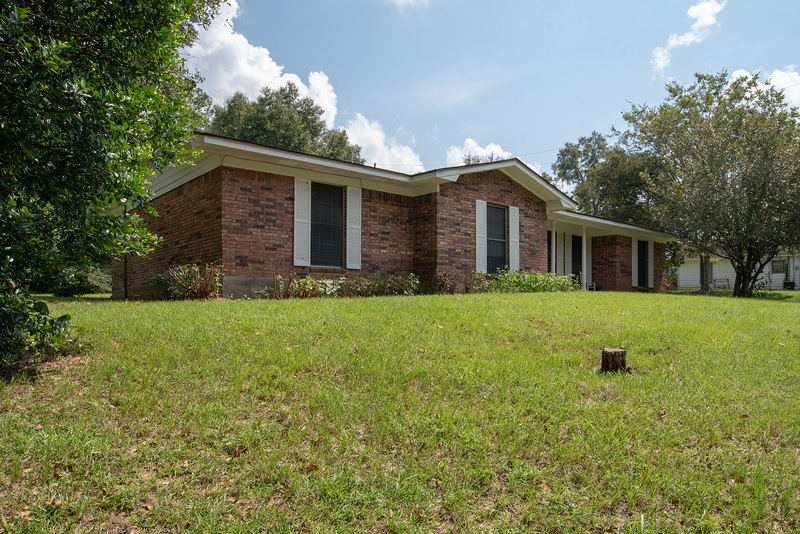 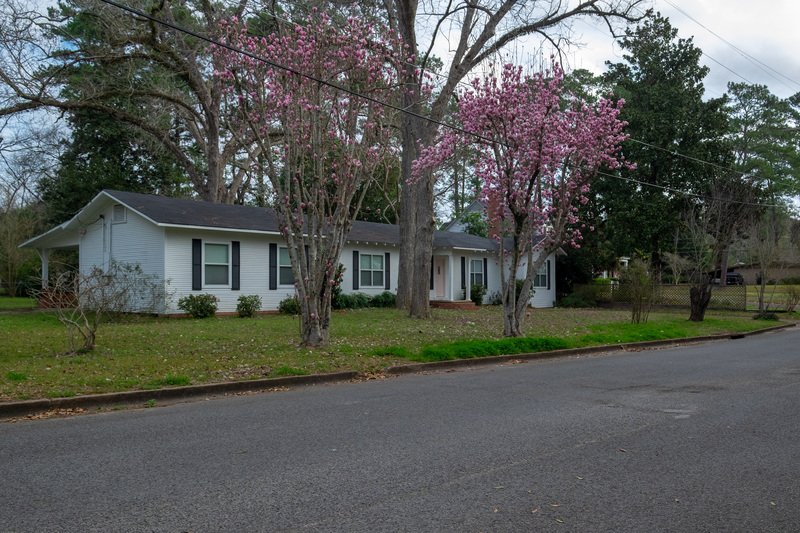 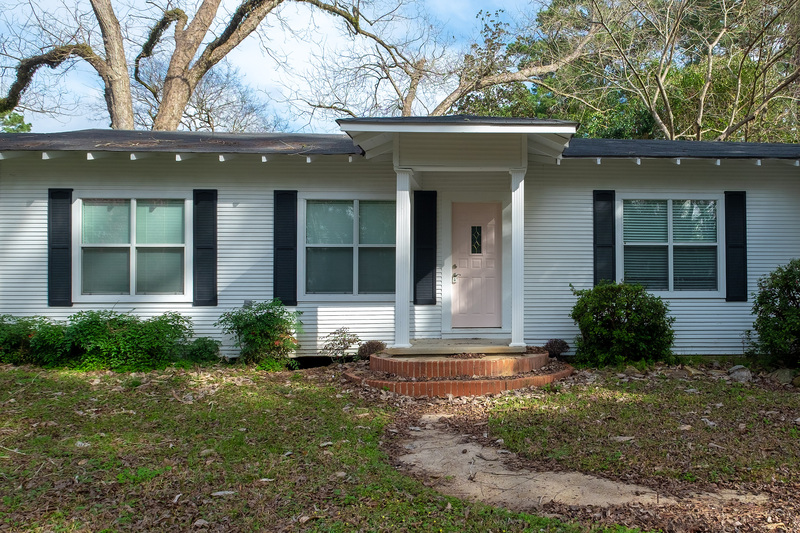 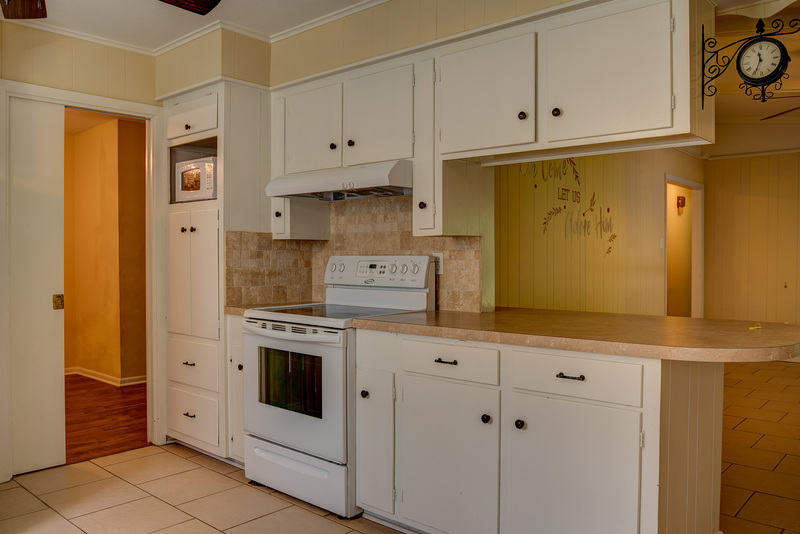 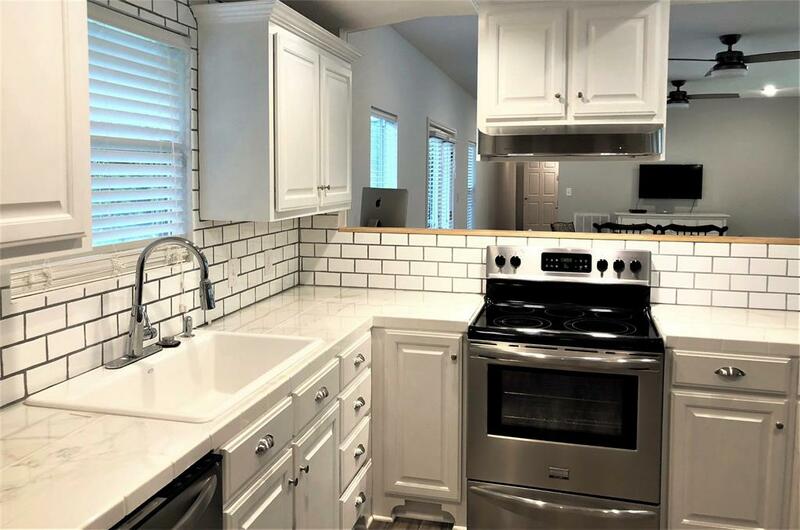 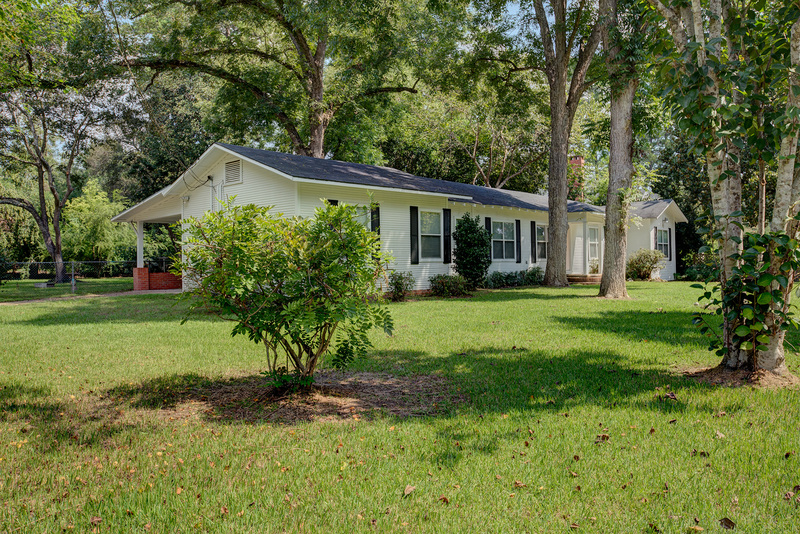 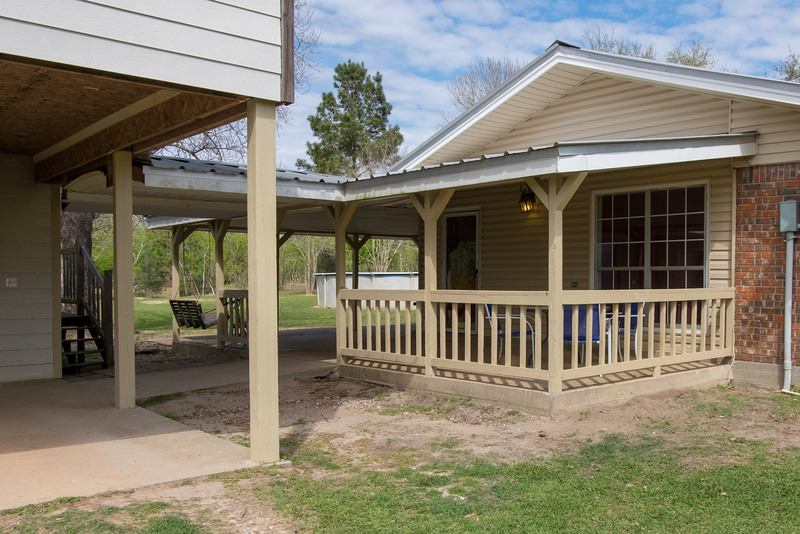 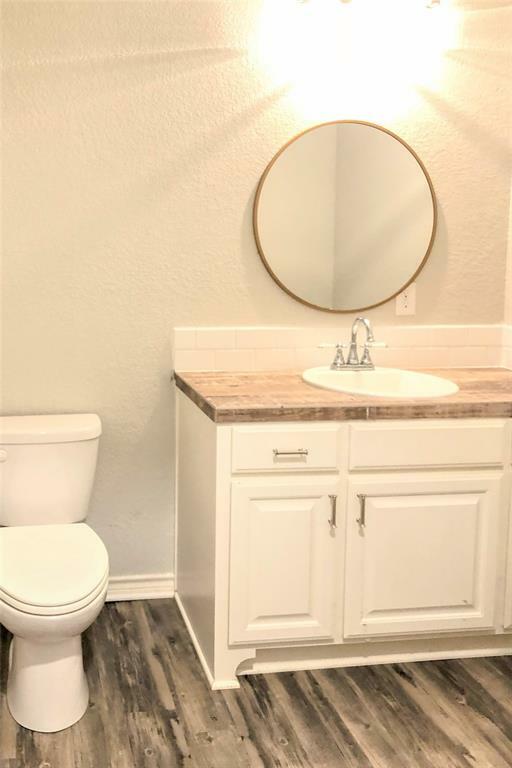 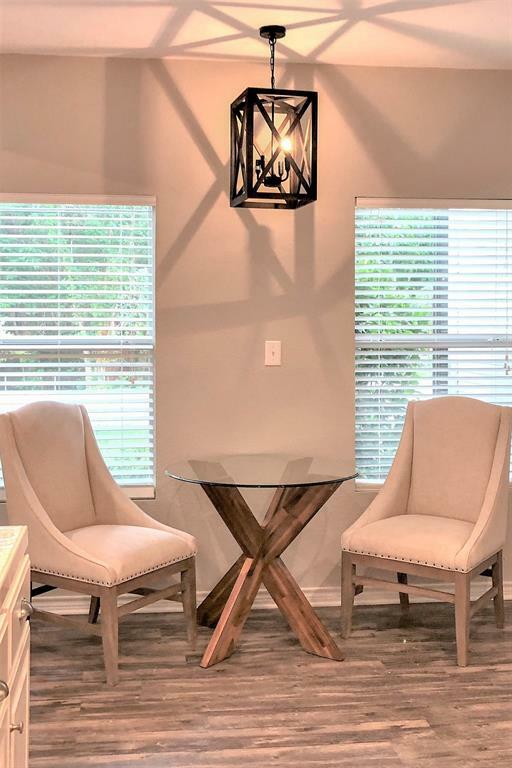 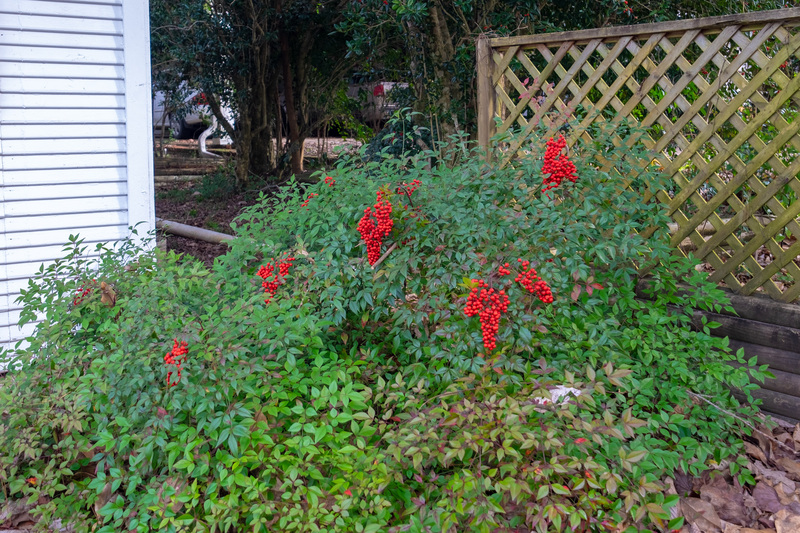 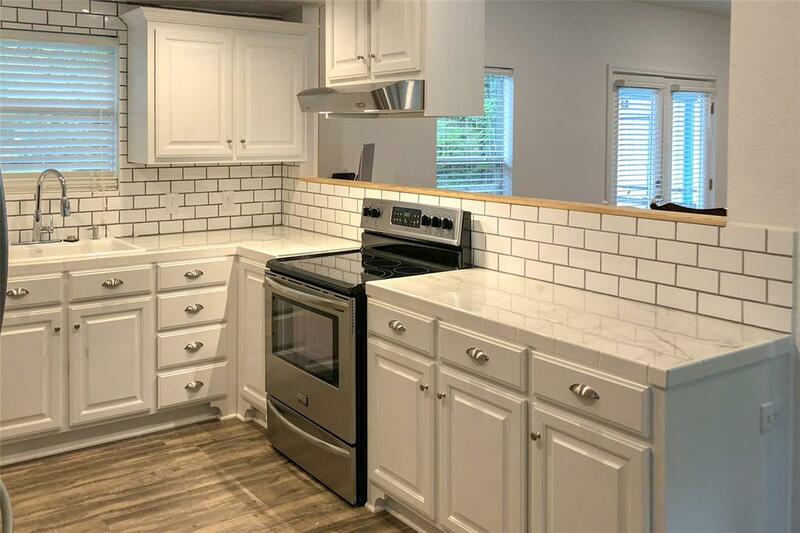 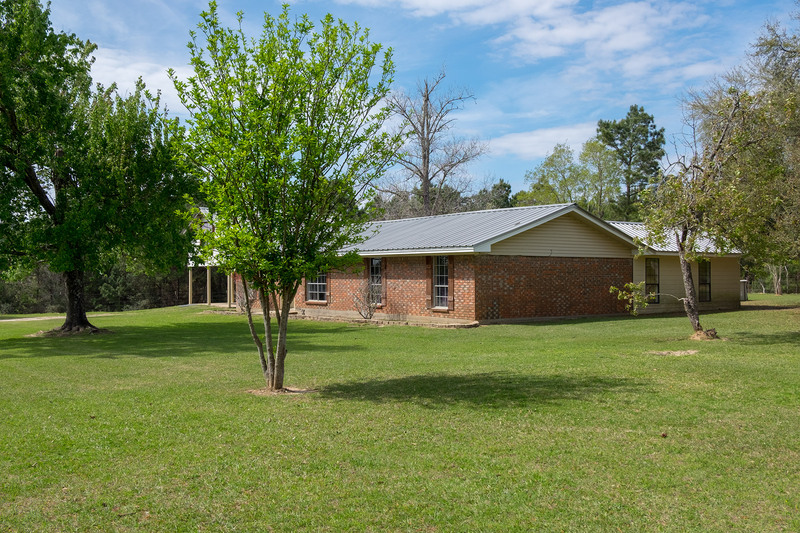 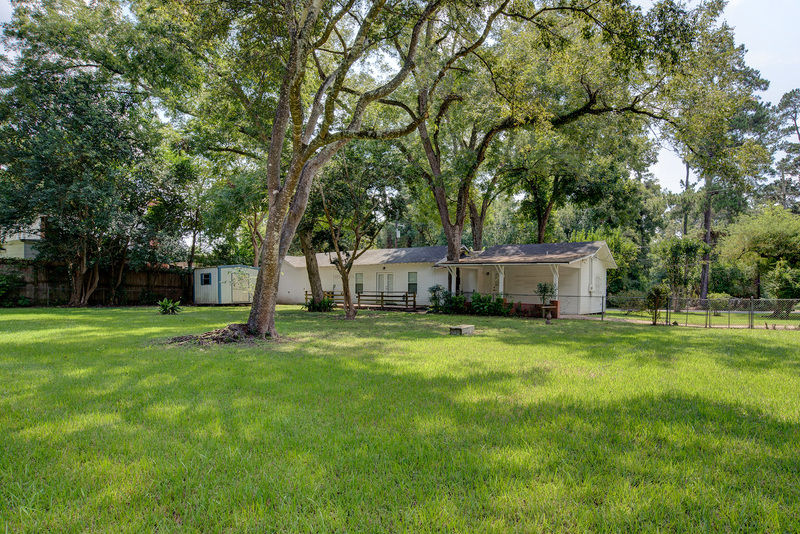 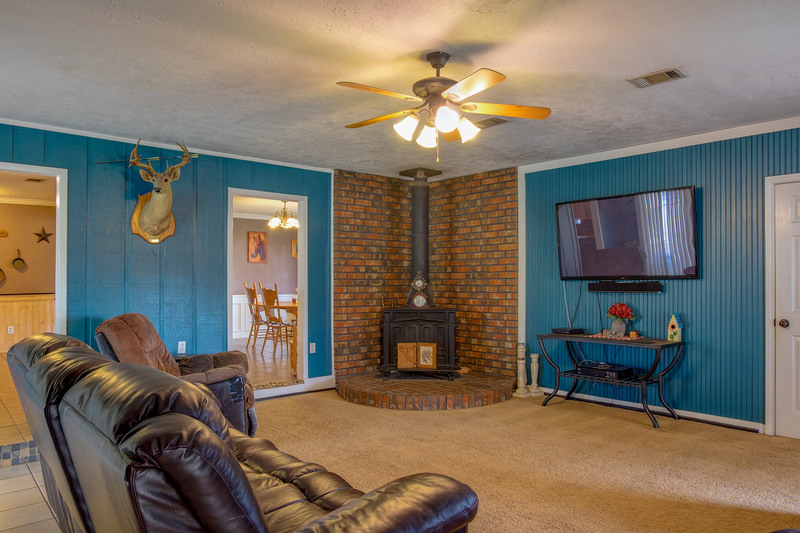 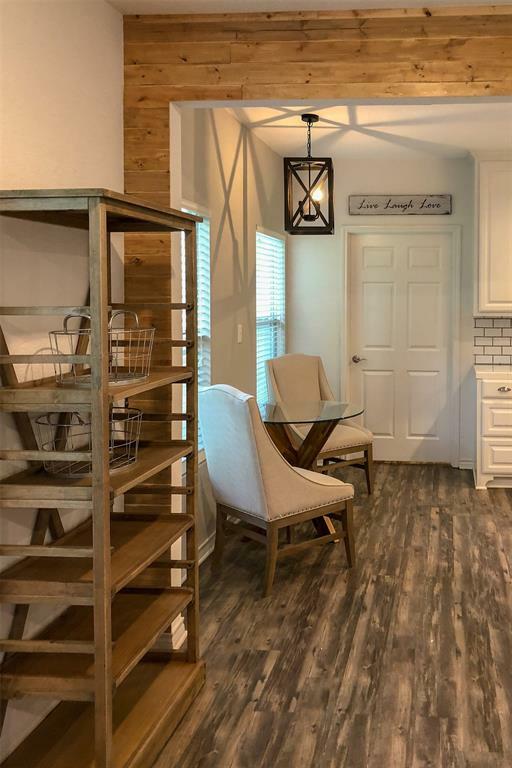 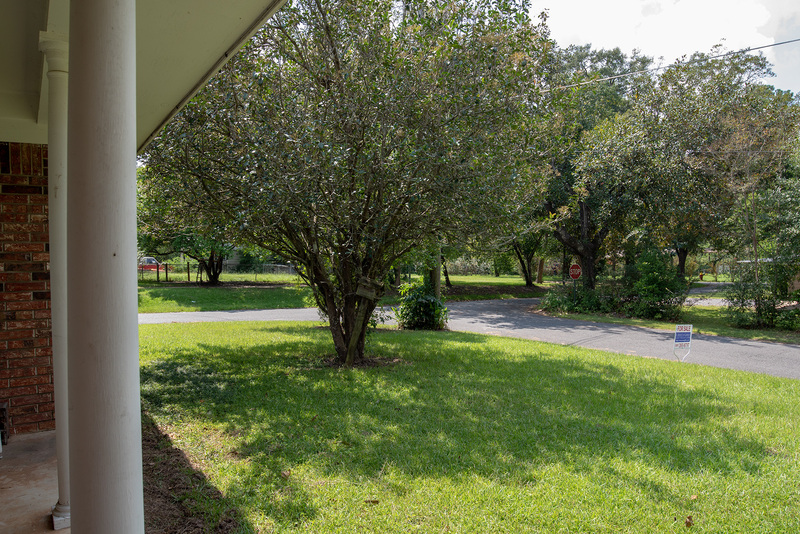 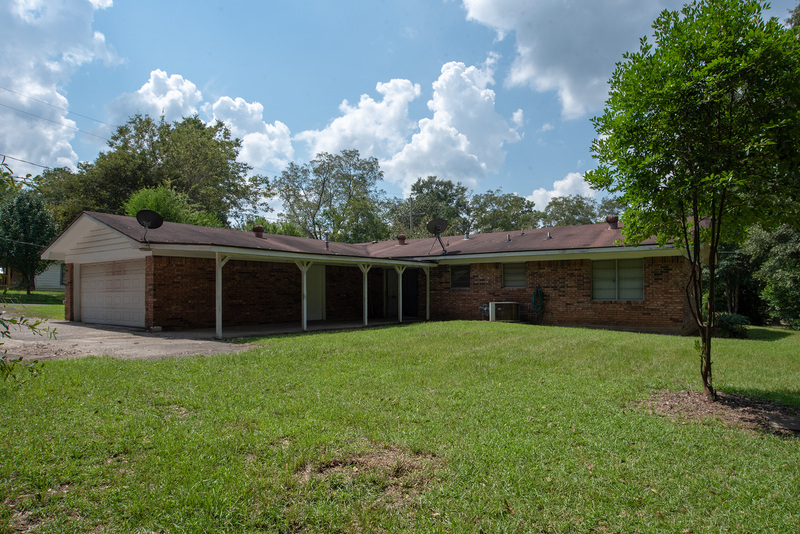 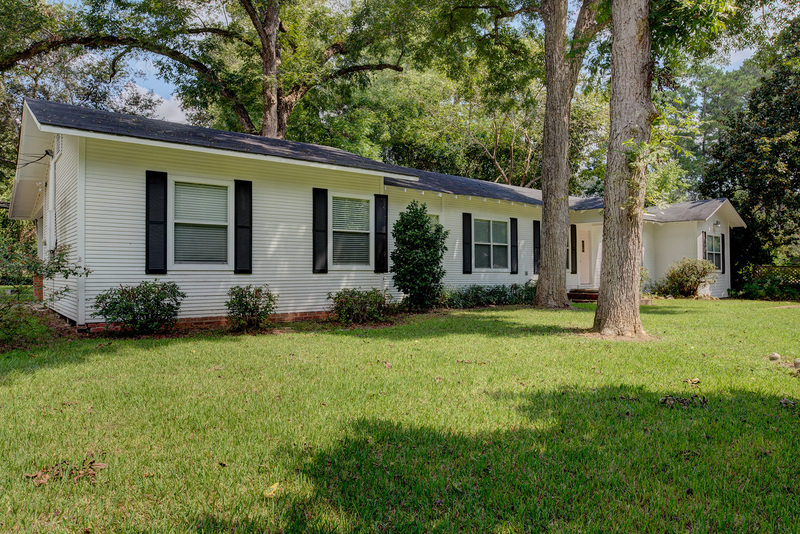 A charming, remodeled three bedroom, two bath brick home set on two city corner landscaped lots in town showcasing beautiful azaleas, huge mature pecan trees, and a shady fenced back yard. 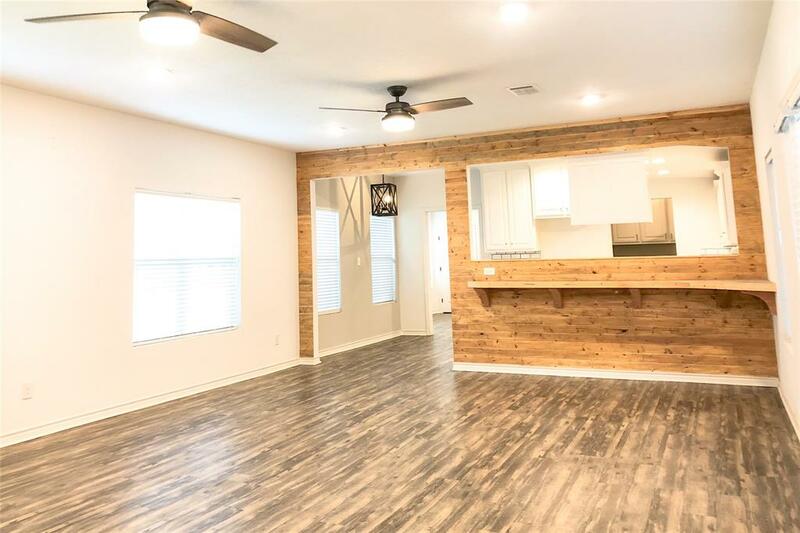 The wood framed modern styled 1,649 SF home features an attractive "open concept" living/dining/kitchen combined area along with newly installed laminate flooring; fresh paint; upgraded light and plumbing fixtures; a bright new kitchen offering stainless steel appliances, modern cabinets, & marble counter tops with subway tiled accents. 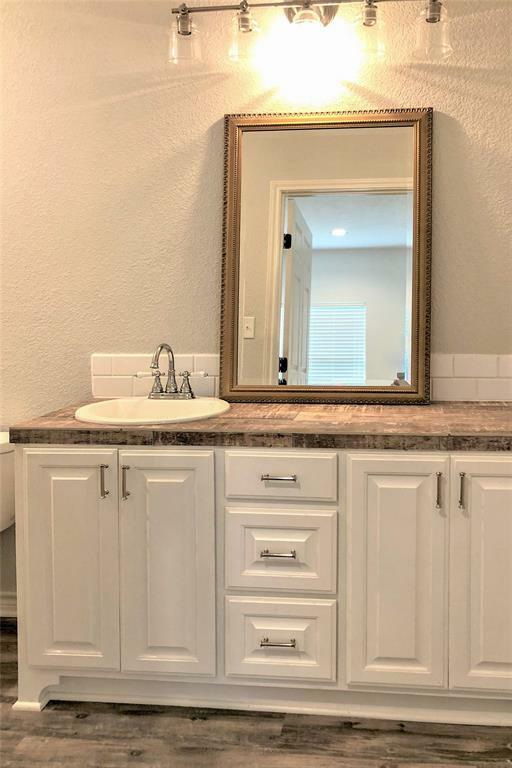 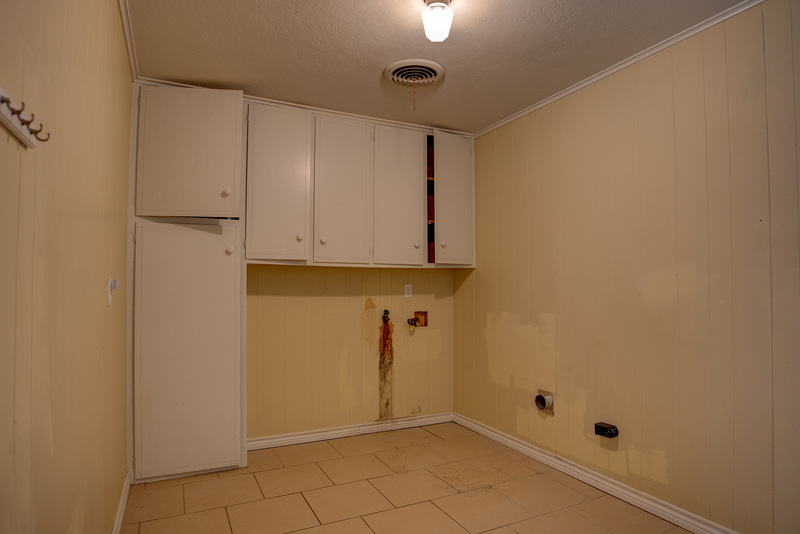 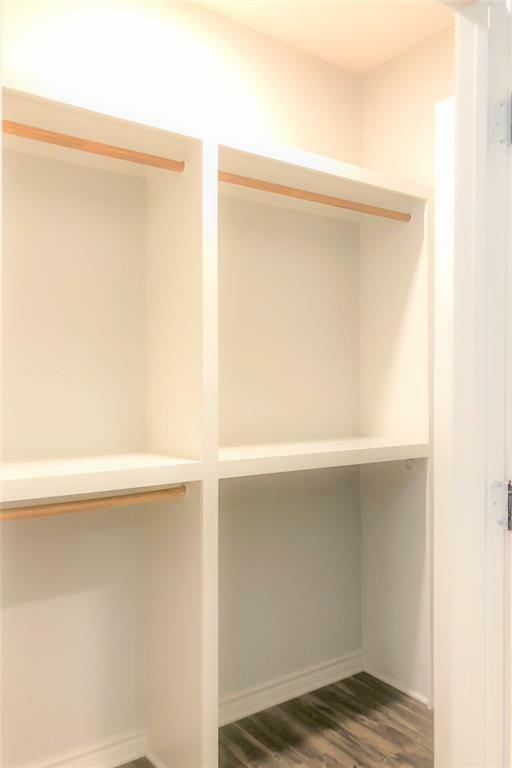 The master has large closet, new attached bath with stone counters, new sink, tub and fixtures. 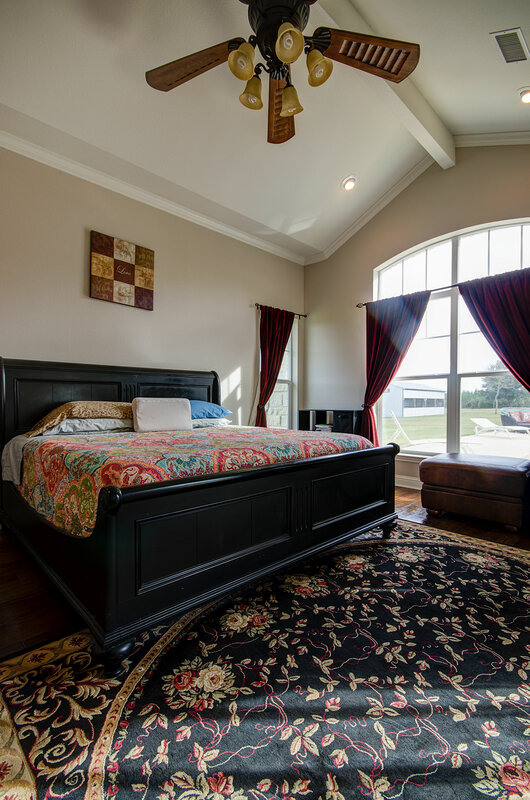 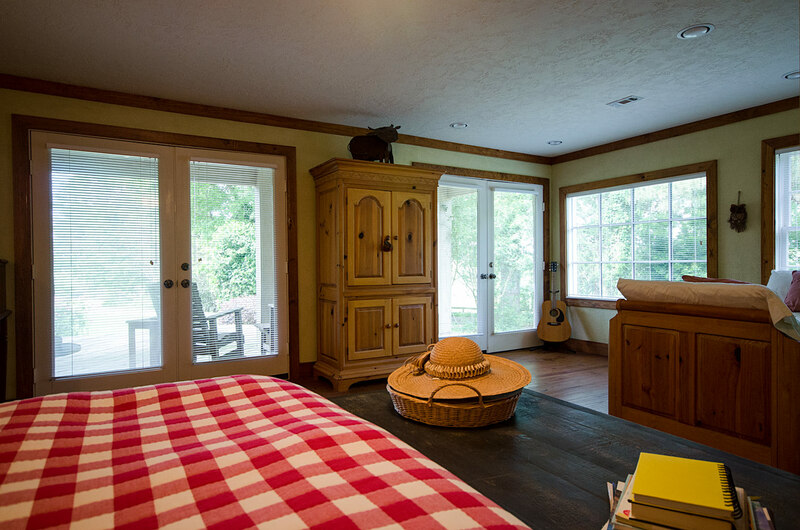 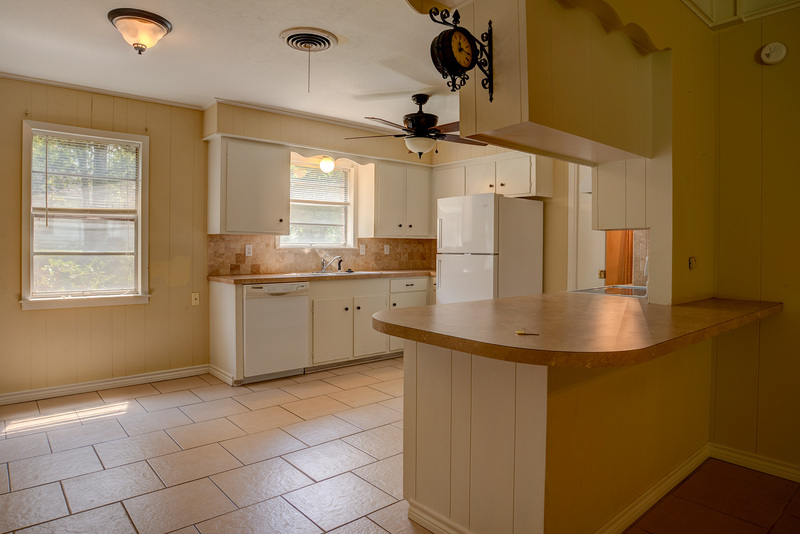 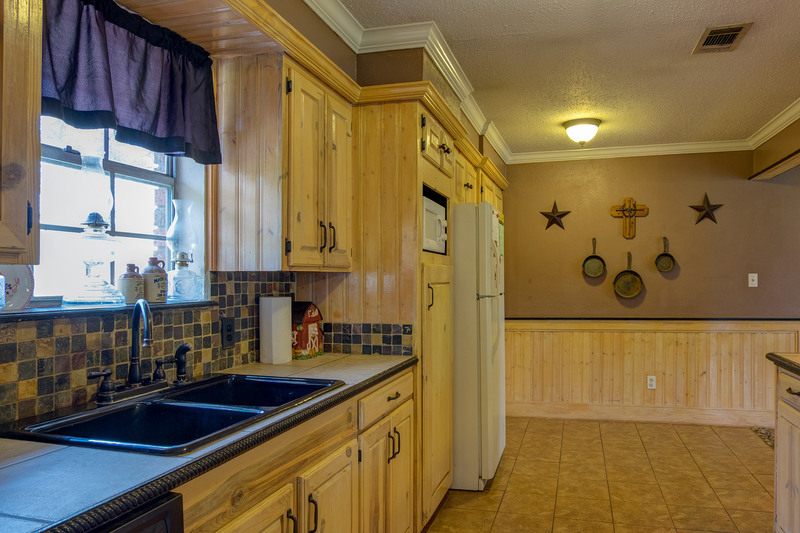 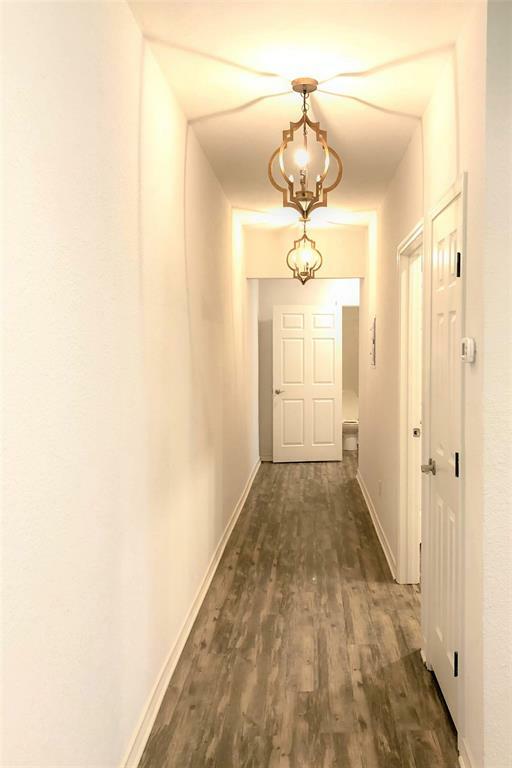 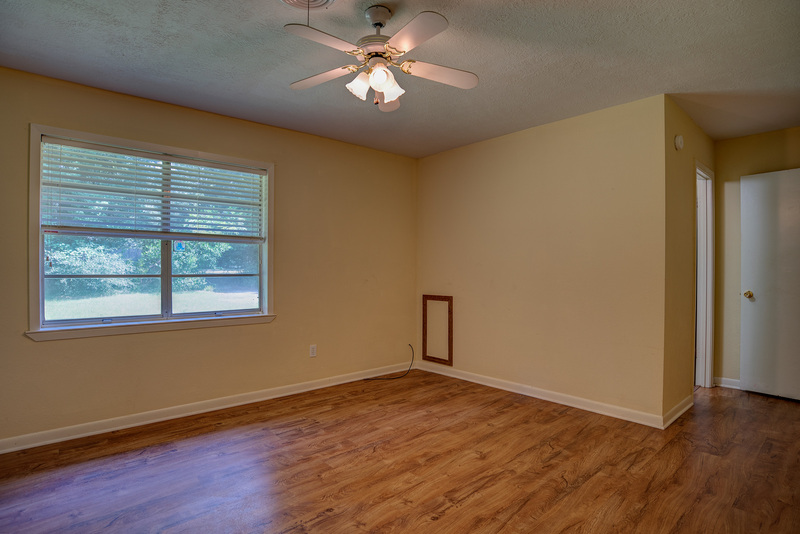 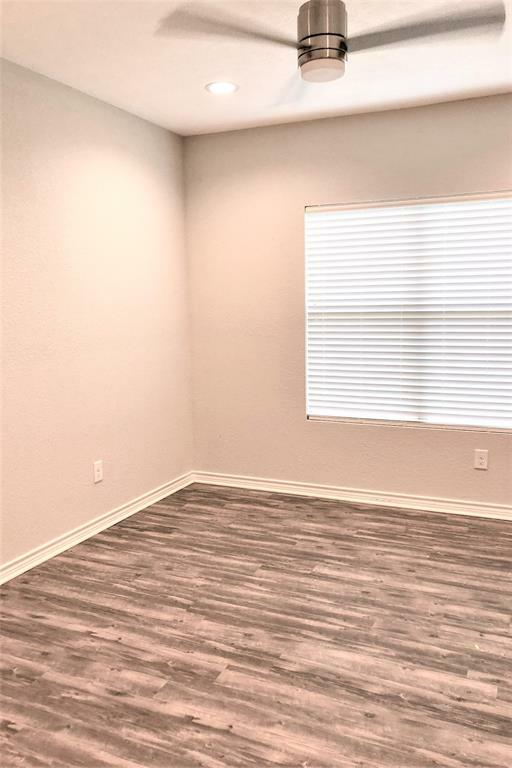 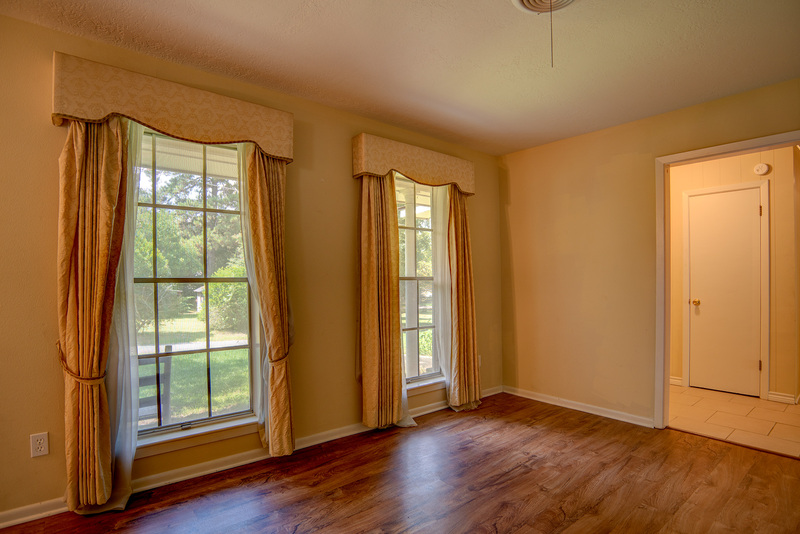 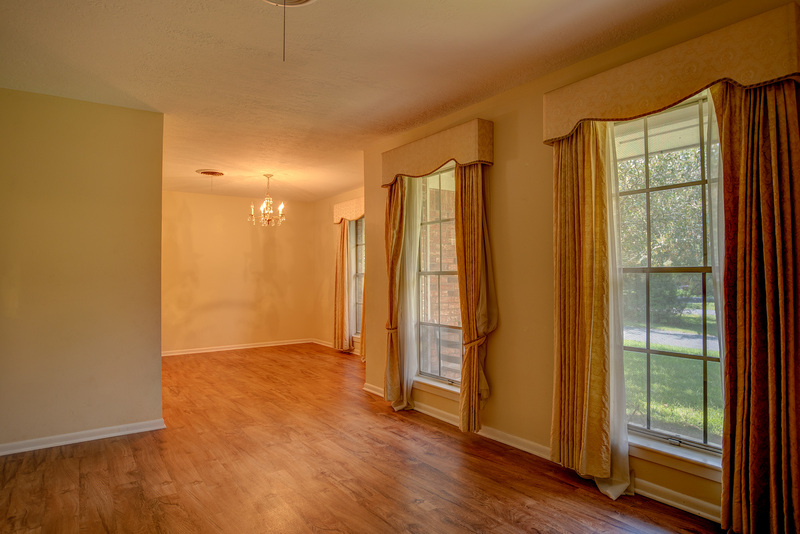 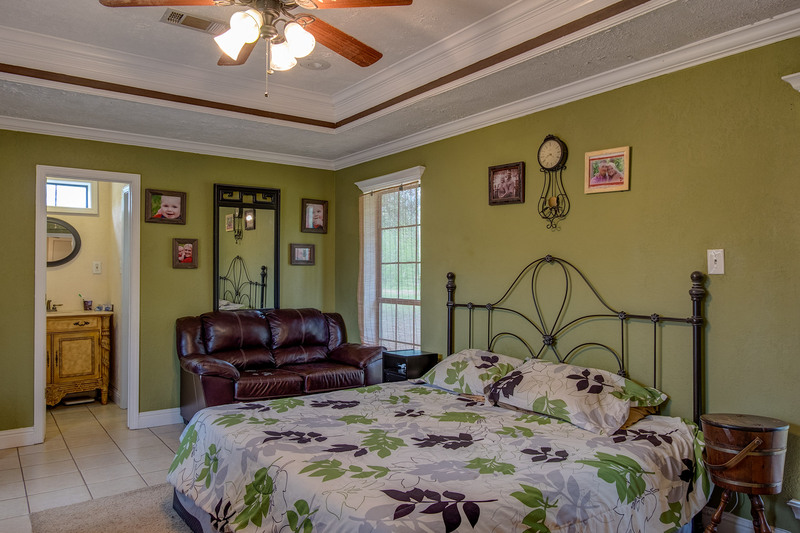 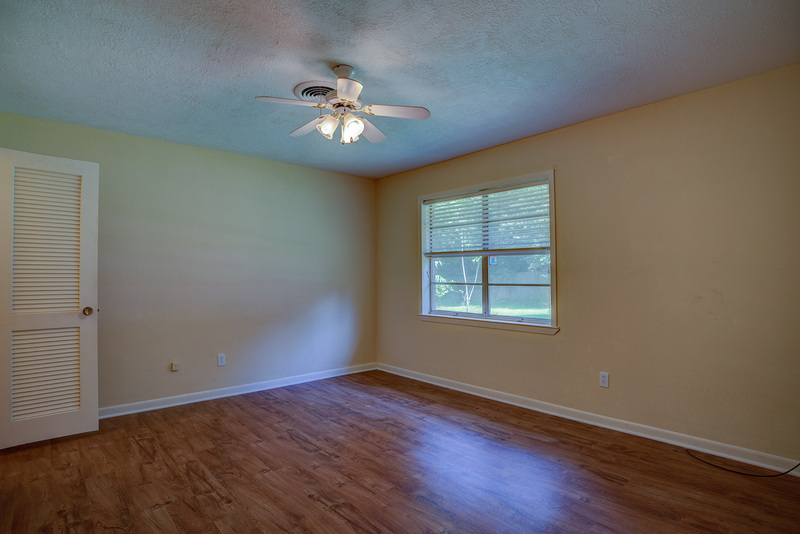 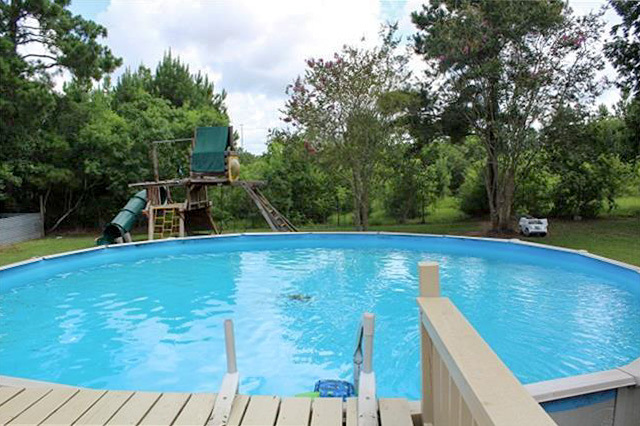 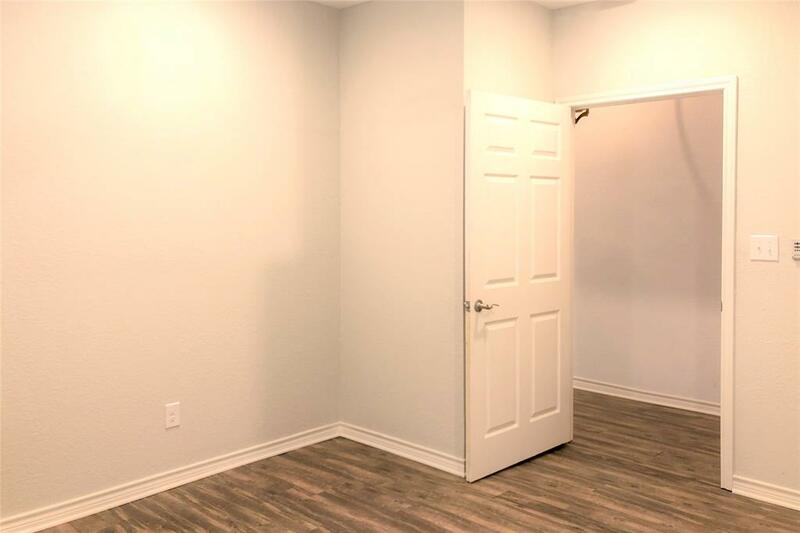 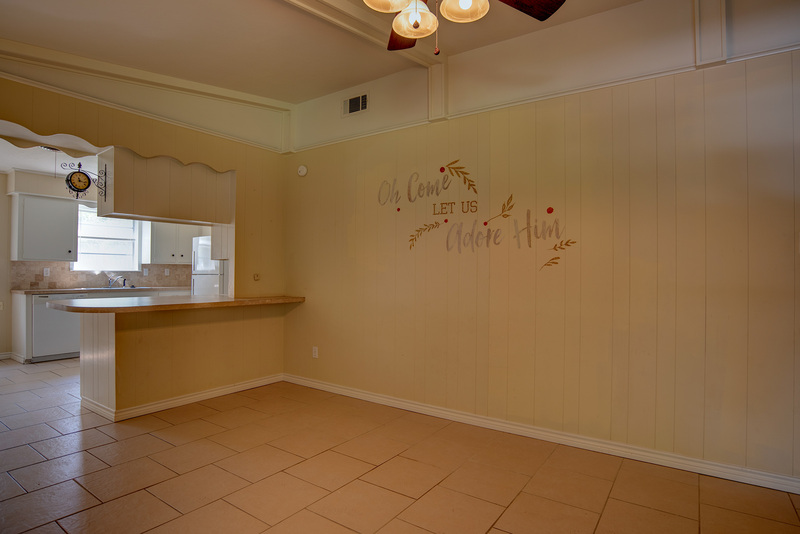 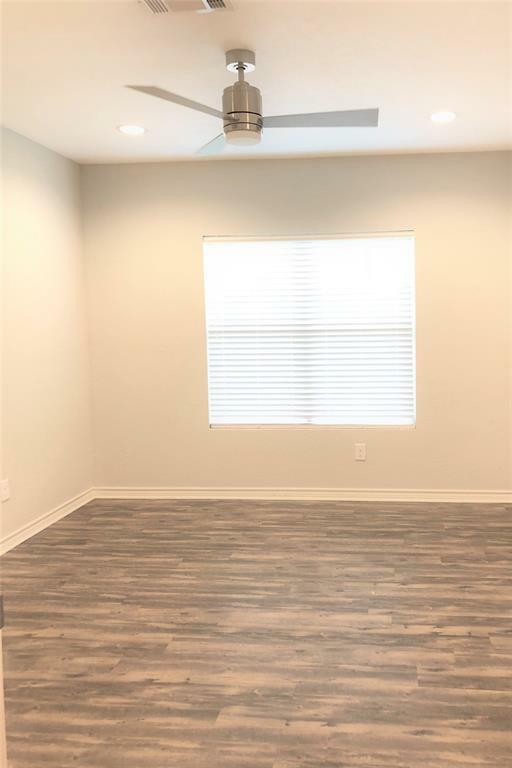 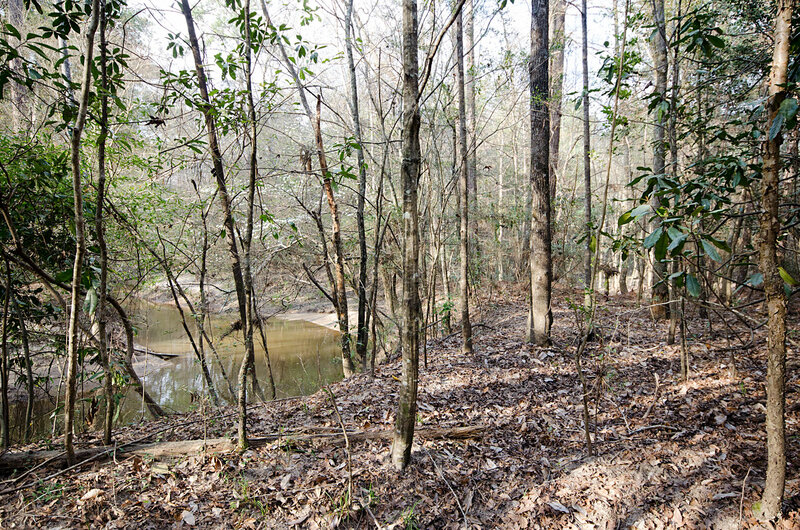 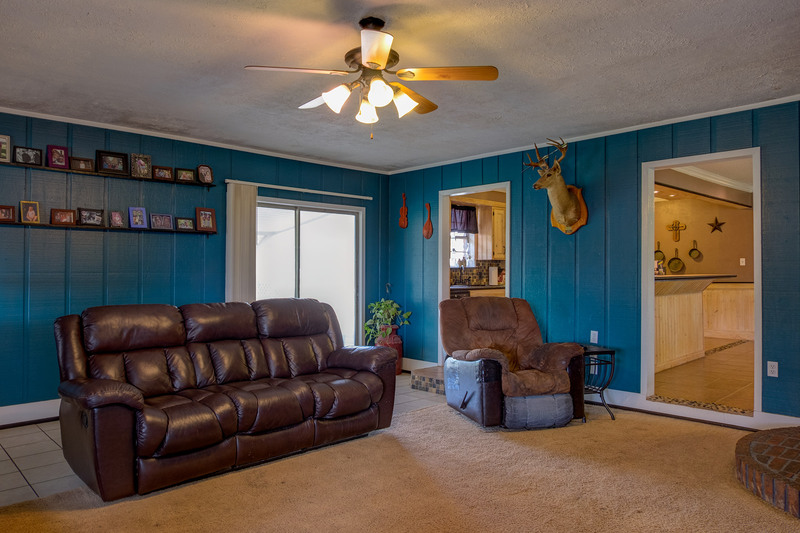 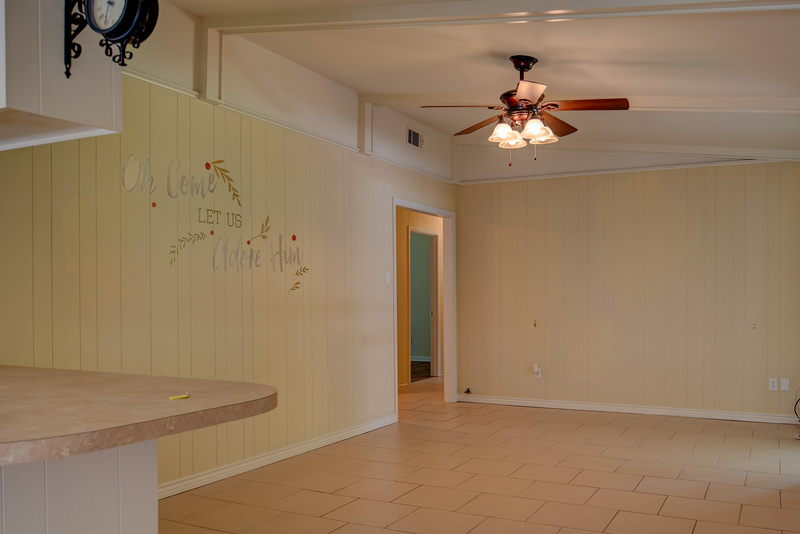 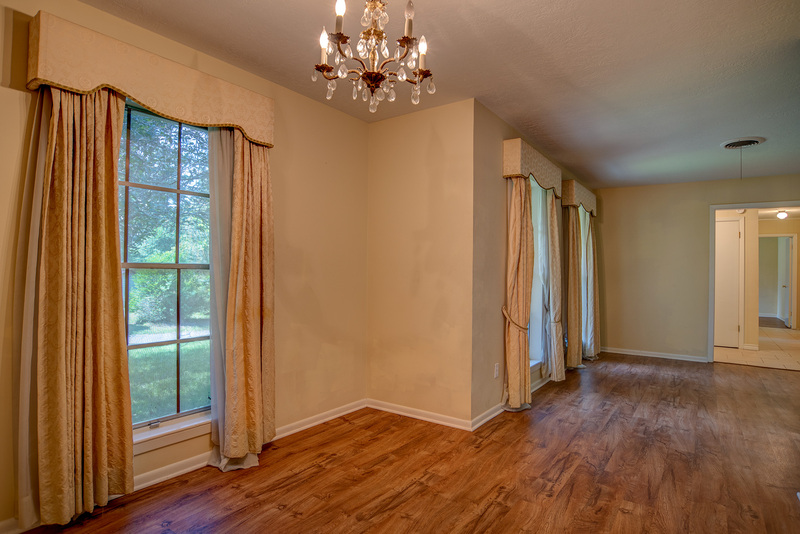 Throughout are upgraded stylish ceiling fans, large closets, and guest bath is updated as well. 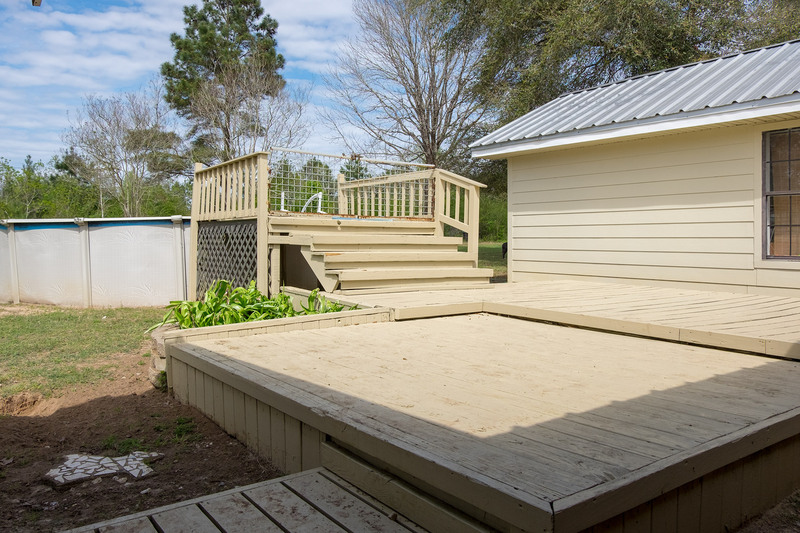 A one-car carport is attached and outside is a wood deck and small garden shed. 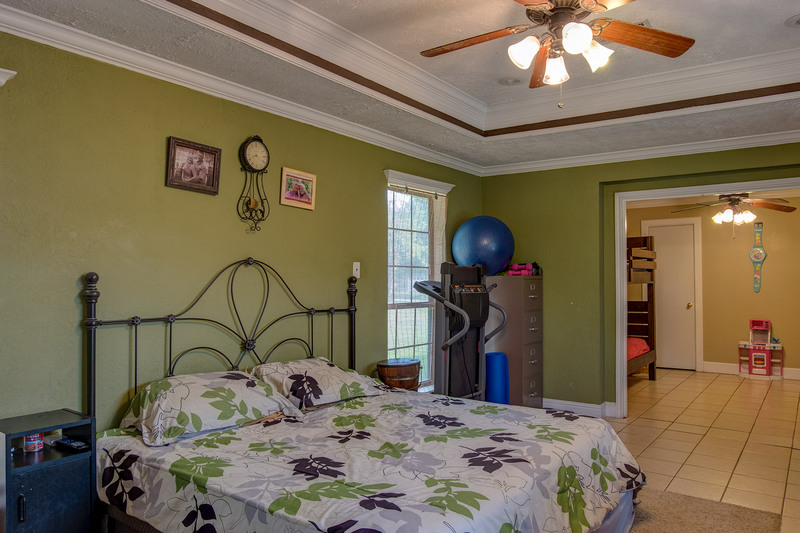 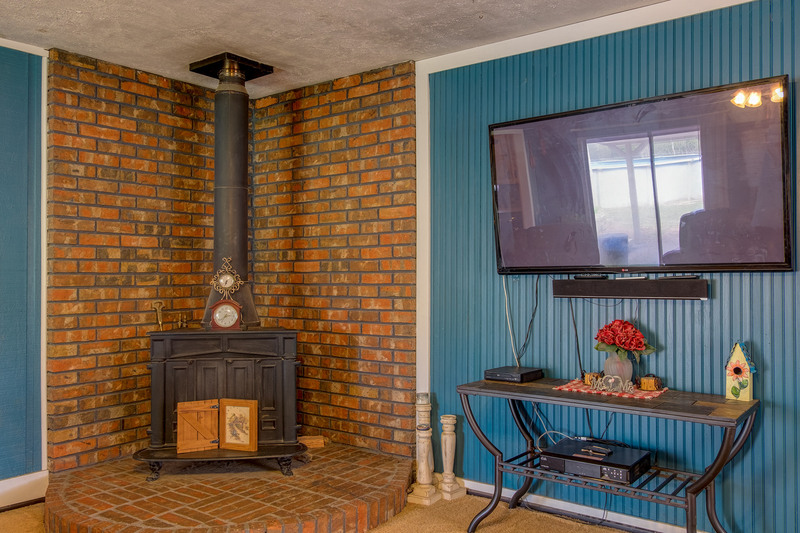 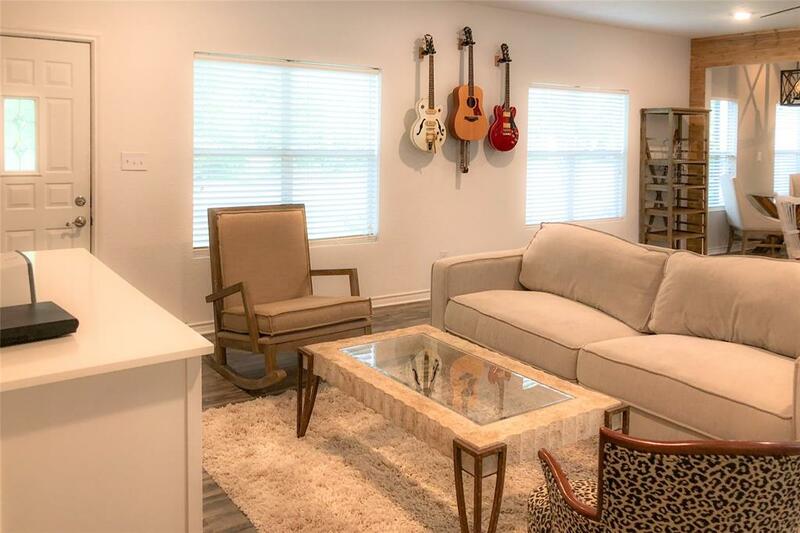 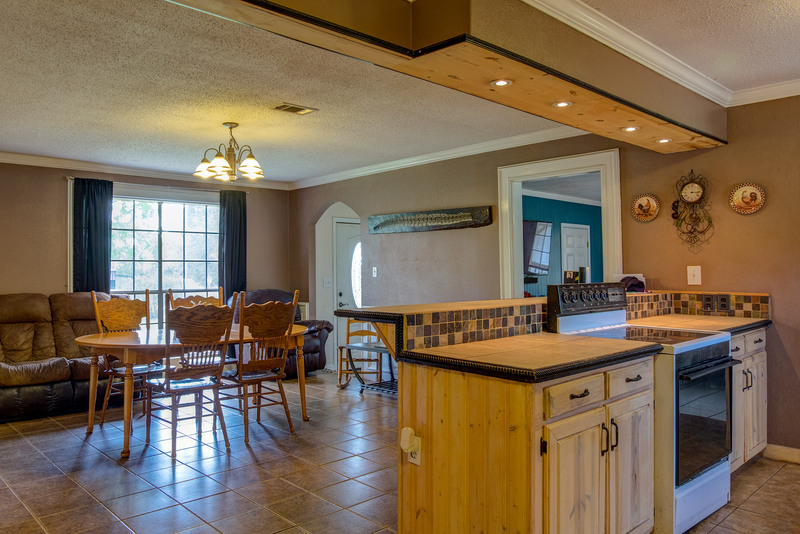 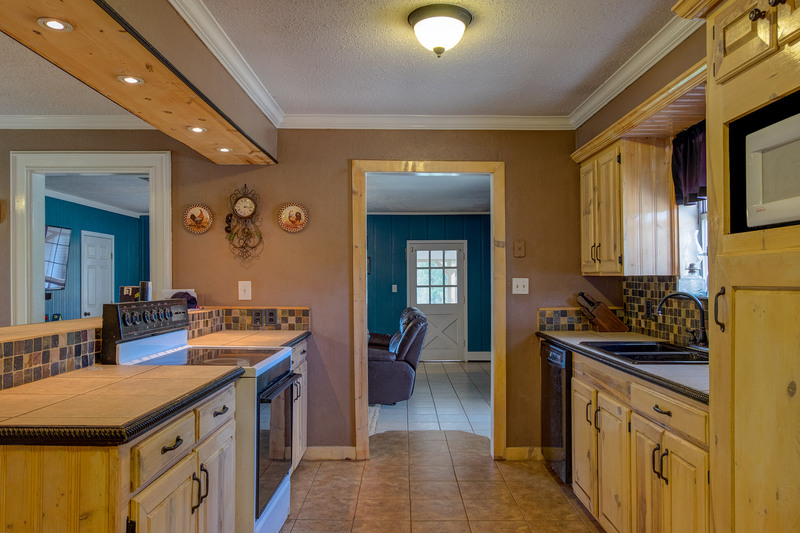 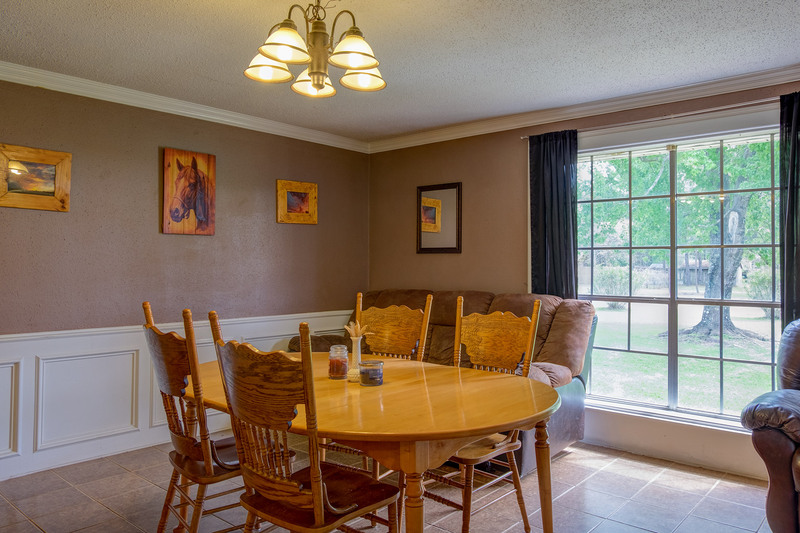 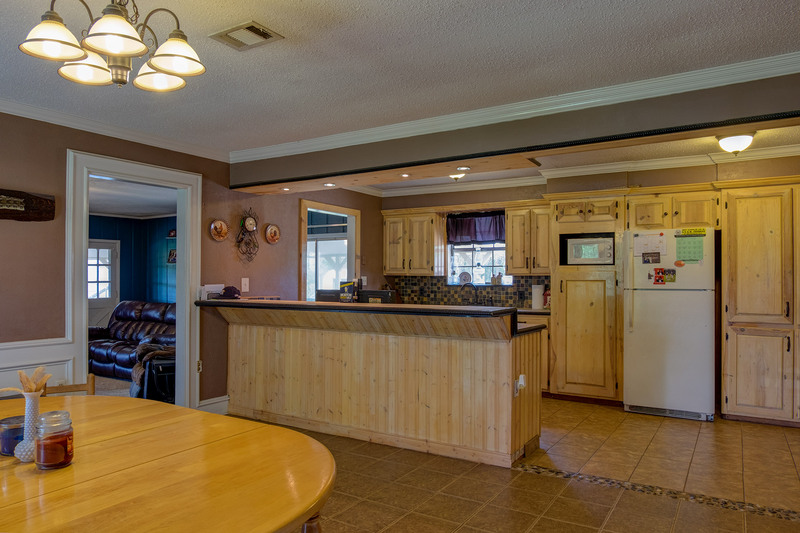 This attractive home is located next door to hospitals, local restaurants, & shopping! 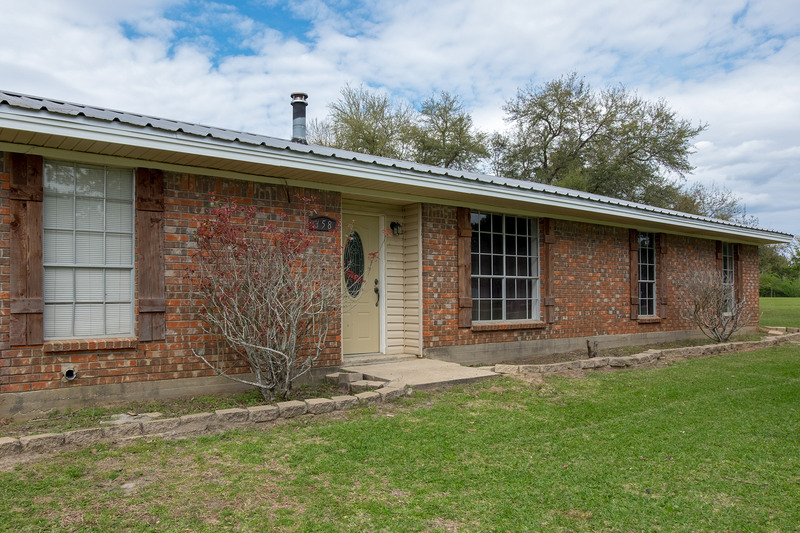 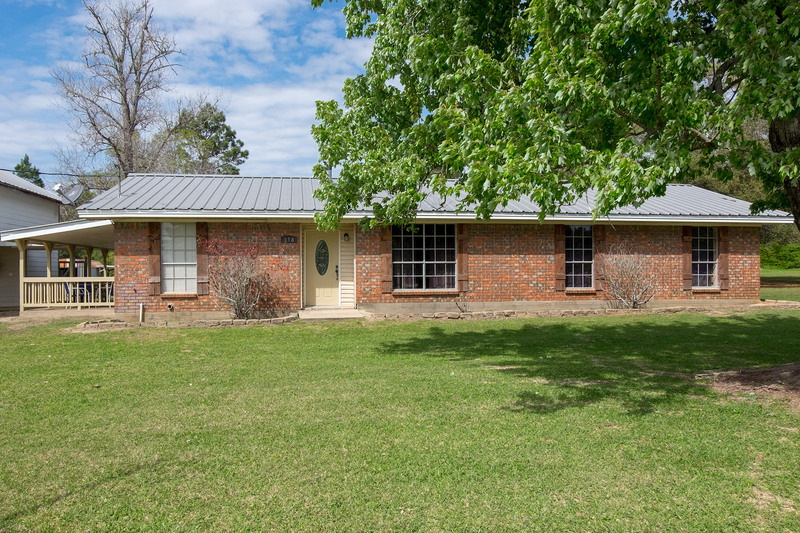 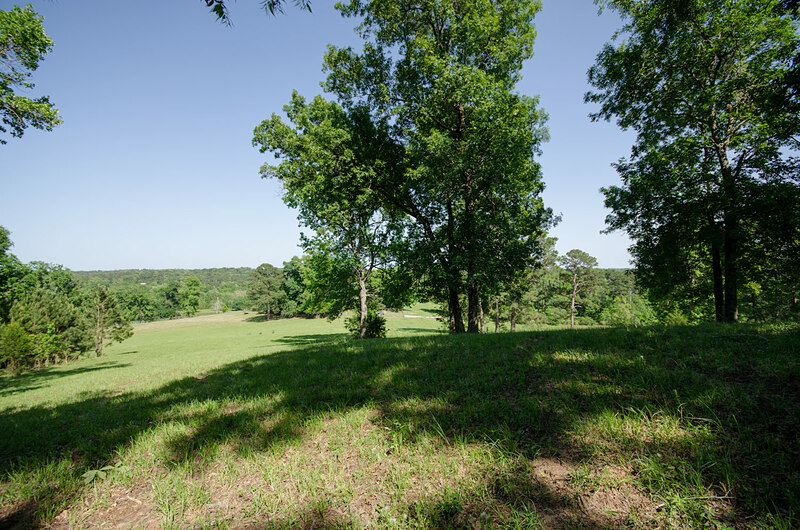 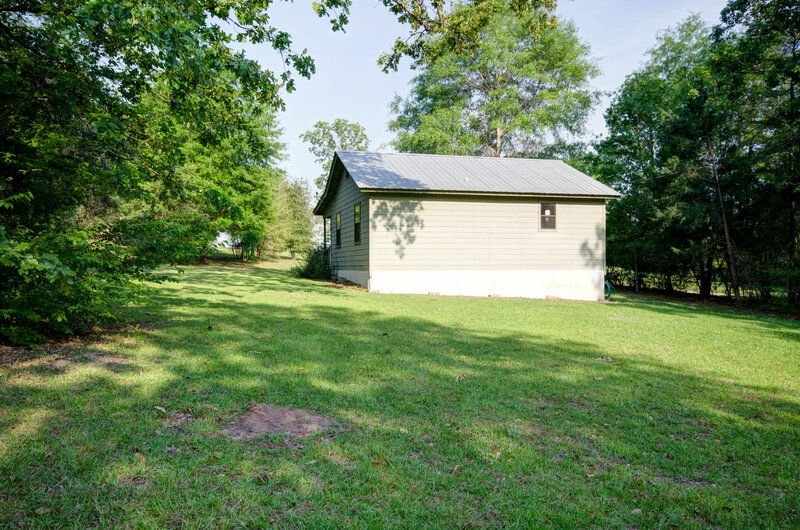 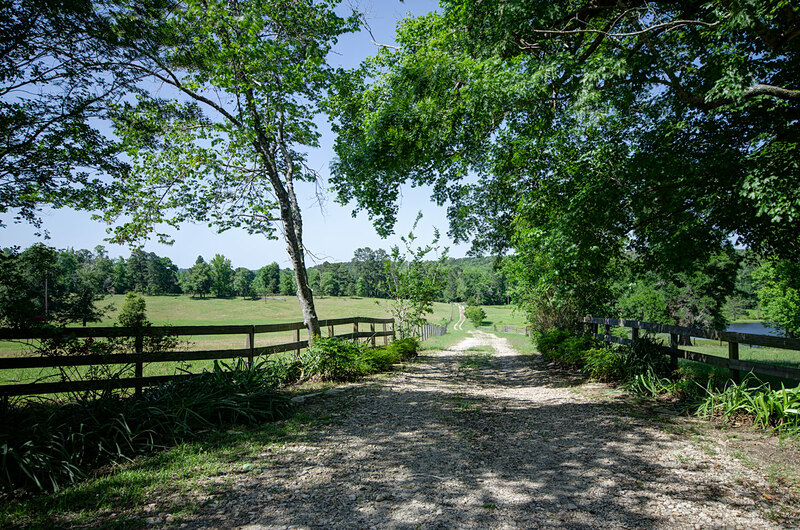 Property address is 910 W. Dogwood Street, Woodville, Texas. 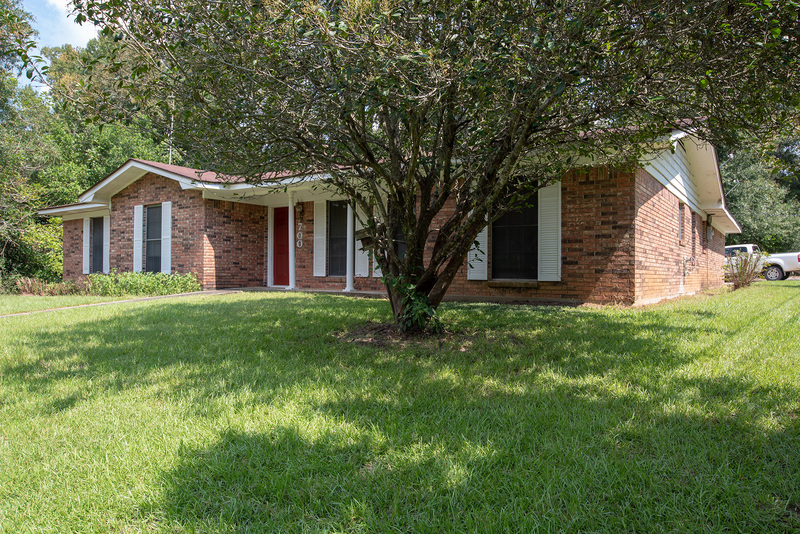 Email Jenny Pachall-Kirkpatrick, Associate/Realtor® - Call 409.828.2776 for more information.